„When a doctor does go wrong he is the first of criminals. He has nerve and he has knowledge.” – said Sherlock Holmes. Him and dr. Edmond Locard proved that if a scientist is on the side of justice, with the same abilities he will be the king of criminal investigators. Edmond Locard was born in France on the 13th of December 1877. Just a few things are known about his life. It is believed that he had been sexually abused by his parents and was a problematic child so he had to change school several times. Life is difficult for everybody, so no matter what was the truth about his parents, Edmond’s life surely had not been easy. But he became a wonderful man who, instead of turning into an aggressive criminal (what he easily could have done because of his childhood), helped lessen the violence in the world. He not only overcame his own tragedies, but began to heal the wounds of the whole humanity. Edmond Locard freed himself with his thoughts, so nothing could stop him - he became a really significant man. He worked tirelessly to protect victims and to lessen violence in the world. He became a pioneer in criminal investigation. Thanks to him police is able to catch many criminals. He had an unusual „helper”, a fictional character whose thinking methods are similar to his: the most famous detective of the world, Sherlock Holmes. Locard was enthralled by the sleuth’s adventures. 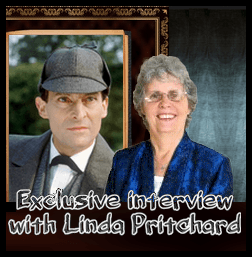 He not only expounded the stories but they gave him confidence, and at last he began to use the methods of Holmes. He drew inspiration from the canon, and later he handed on his observations to his students. Sherlock Holmes was born in the imagination of Scottish writer Arthur Conan Doyle. Similar to Locard, Arthur had a tough childhood, he suffered a lot from his father’s alcoholism. It would have been easy to him to sink in sorrow, but he thought that with studying and observation he can make himself much more useful. He attended medical school and started to work as a general practitioner. But such a few patients visited him that he had lots of free time. Instead of being bored he wanted to spend his time in a useful way, and he realized that he can do something for the people even confined within the four walls. So he started to write his own detective stories, because, as he claimed, he was displeased at the fact that int he stories he read, police catches the criminals mainly thanks to luck. Doyle firmly believed that everything happens with a reason and one can understand lots of things by observing and thinking. During his university years he got acquainted with several branches of science, and his opinion was that combining these can be helpful in criminal investigation. 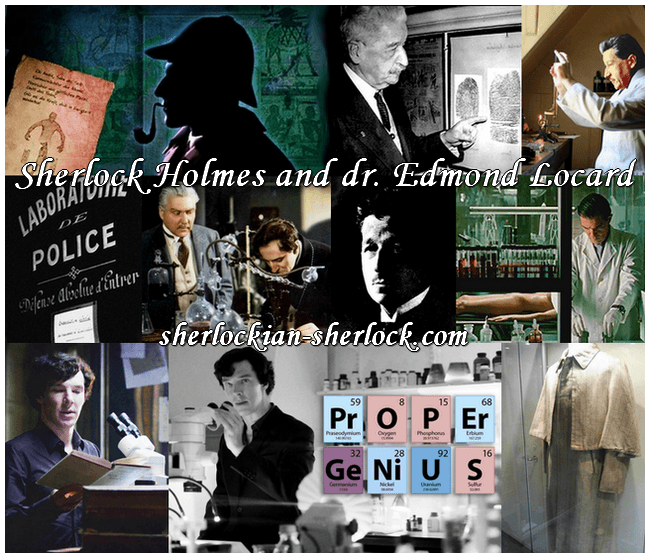 His creation, Sherlock Holmes mixed different scientific methods with his observations and deductions. He did this in an age when no lines were drawn around corpses, evidence and traces were trampled down or blurred, and stored inadequately. Holmes was aware of the fact that the crime scene tells a lot about the criminal, so it must be observed very carefully. He says in The Boscombe Valley Mystery: „Oh, how simple it would all have been had I been here before they came like a herd of buffalo, and wallowed all over it.” Nowadays it is a well-known fact for young people who watch documentaries and thrillers that a criminal leaves many traces at the crime scene. But a long time ago people knew much less than today and technology had also been elementary. In medicine such people fought for the importance of sanitation like the Hungarian Ignaz Semmelweis, the American neurologist, Harvey Cushing or the devoted nurse, the British Florence Nightingale. In his adventures Holmes often stated how essential it is that investigators do not contaminate the scene of the crime. Edmond Locard worked out his famous exchange principle with the help of Sherlock Holmes. It holds that the perpetrator of a crime will bring something into the crime scene and leave with something from it, and that both can be used as forensic evidence. Using the principle investigators were able to catch criminals, this way preventing other crimes. Locard was the head of the centre in Lyon where the investigators of the French police were trained. He succeeded in persuading the police that it is worth to do investigations at a high level and to support them by science – the same way as Sherlock Holmes did. He received two mansard rooms and two assistants. Under such poor circumstances was opened the world’s first forensic laboratory. Later he held lectures on forensic jurisprudence. French writer Georges Simenon attended some of his classes too – his creation is the famous Inspector Maigret. Conan Doyle, Sherlock Holmes and dr. Edmond Locard undoubtedly made the world a better and safer place. Dr. John Evelyn Thorndyke, the character of writer Austin Freeman also contributed to the development of criminology. Thanks to them among many others, lots of people chose the profession of policeman, detective or forensic scientist. A great number of surviving victims and their relatives work as volunteers at different organizations. It always gives hope to know that there are criminals, but there are also people who can do something against violence. Hungarian writer and playreader Péter Müller said: „The majority of people remain broken if they once break. And they cannot stand up when they lose. They stay on the ground. They do not need an enormous. A minor loss, a mediate, just one single is enough for them to give up the fight, because they do not know the depths of their own souls. They do not know who lives in them and how strong that person is. They do not have the faith to live.” Edmond Locard never ceased to be humane, he dared to do for himself and for others. He was a strong man who had the faith to live and to make a world a place more liveable.